So what’s the deal with WordPress YouTube channels? Well, if you’re anything like us, the first step when you can’t figure out how to do something with WordPress is to find a tutorial. However, finding an adequate guide within the sheer volume of content available can be tough – even more so if you’re looking for one that includes appropriate visual aids. That’s where YouTube comes in. Everybody knows it’s a fantastic platform for learning all manner of new skills, but it’s not always the first place a WordPress enthusiast would consider to check for tips or tutorials. That’s a shame, because there are plenty of WordPress YouTube channels out there, full of great content. With the above in mind, we’ve sorted through the proverbial haystack for your benefit and compiled a list of our ten favorite WordPress YouTube channels devoted to our favorite platform. Let’s get cracking! Although our channel is still in diapers compared to many others in this list, in time we intend to become one of the leading WordPress YouTube sources too. Along with more general WordPress tutorials and tips, there are also valuable how-tos for many of our themes. We’re also tying in articles to our video content, giving you a multitude of options for learning how to use our themes and plugins. WebTegrity releases WordPress-related videos like clockwork, every Wednesday. Their WordPress YouTube channel has over 11,000 subscribers, and they cover topics including SEO tips, WordPress how-tos, and plugin roundups. Some of their best videos include a roundup of the best free responsive themes available in 2016, a guide to making phone numbers clickable in WordPress, and a Revolution Slider review. The team behind the channel also offers their WordPress-related services in real life, including classes – and considering the quality of their channel, we’d be willing to bet those classes are worth a shot! Tyler Moore is the mastermind behind this eponymous WordPress YouTube channel. He regularly posts step-by-step web development guides (with an emphasis on WordPress) for his sizable audience of 178,000+ subscribers, and he takes pride in never skipping a single step of the learning process. If you don’t believe us, take a look at his three hour guide to building a WordPress website in 2016 (which is admittedly the longest video on his channel). Although WebsiteWizard.tv doesn’t bill itself as a WordPress channel, the guys behind the scenes sure do post a lot of content about the world’s favorite content management system. This modestly-sized channel (currently clocking almost 4,000 subscribers) was born in 2014 to help entrepreneurs, business owners, and freelancers improve their web development skills. Since then, the channel has published several series looking at how to build WordPress sites, as well as the occasional feature-length guide. Aside from these, they’ve also covered SEO optimization tutorials and the ever-popular plugin roundup category. It’s hard for WordPress YouTube channels to claim a higher pedigree than WPBeginner, considering its parent website. As you might expect, this channel goes way beyond the basics when it comes to WordPress tutorials. Over 37,000 subscribers benefit from weekly videos covering all kinds of topics such as how to make a WordPress site private, setting automatic backups, and even creating wedding websites. WPBeginner’s videos are short and concise, and most of them are based on preexisting articles – so viewers get the benefit of having a transcript of sorts available if they have trouble grasping any step. 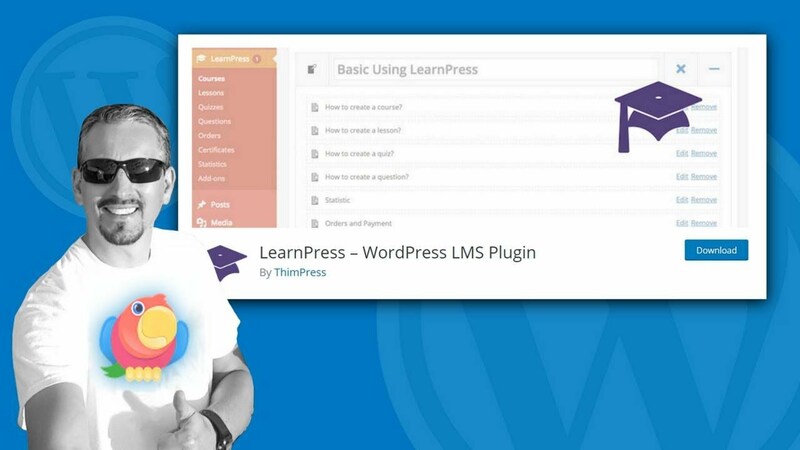 Although its video thumbnails may look deceivingly like infomercial advertisements, UploadWP is an exceptional channel filled with in-depth WordPress tutorials. Its unassuming host has managed to accumulate over 12,000 subscribers thanks to posting several videos per month (although his upload schedule is a bit erratic), with an emphasis on WooCommerce-related content. Some of the channel’s best hits include a top to bottom guide on setting up a WooCommerce page, and how to create a custom email template for your e-commerce endeavors. Martie is the name of the man behind Let’s Build WordPress, and the cartoon appearing in most of his video thumbnails is modeled after him. Under that colorful beanie, however, there happens to be a real WordPress pro who’s been hard at work creating tutorials since 2013. Although he doesn’t post new videos as regularly as some of our other picks, Martie has nonetheless amassed over 12,000 subscribers, thanks to his channel’s wide range of topics. If we had to pick a favorite, we’d have to go with his guide to creating a portfolio website using WordPress. WPTuts is a seriously slick (check out their thumbnails) WordPress YouTube channel, with an emphasis on guides for both the Slider Revolution and Visual Composer plugins. Their viewership is a bit on the small side (around 3,000 subscribers) – which is understandable, considering the highly specialized nature of some of their guides – but that doesn’t mean the channel isn’t worth your time. WordPressKing is another one-man operation, this time helmed by a photographer, videographer, and web developer. Despite his many responsibilities, Ferdy Korpershoek finds the time to create and upload multiple WordPress-related videos per month. Ferdy is popular among his near-5,000 subscribers for his no-nonsense approach to problem-solving. Each of his videos is designed to help you solve a particular issue and boy, does he deliver. While nowadays Katrinah is an independent web developer and designer, many years ago she used to work a nine-to-five corporate gig. Along the way, she taught herself all she needed to know about WordPress, and since 2012 she’s been helping others to learn too – from the basics to the highly-specific. Katrinah has amassed nearly 40,000 subscribers, and while many of her videos are long-form (some clocking in at over two hours), many others are well under 20 minutes – so there’s something to cater to all types. Through this great video collection, WinningWP channel provides a variety of guides for users that are just starting out with WordPress. From general to very specific tutorials, guys at WinningWP provide a handful of lengthy videos of around one hour of content, but you’ll also find quick tricks lasting for 2-3 minutes. This WordPress-related channel gets updated with new videos at least two times a month (sometimes even five times) and managed to gather a community of over 5,000 subscribers in only two years of existence. YouTube may not be your first stop for WordPress-related content, but it should! As with any other platform, the key when looking for great channels is to keep an eye out for those providing high-quality, relevant advice. If they can also complement your learning from other sources, even better! ThemeIsle: General WordPress-related resources plus tutorials and how-tos for our own themes. WebTegrity: All-round WordPress guides for all audiences. Tyler Moore: Step-by-step tutorials for beginners. WebsiteWizard.tv: Guides and how-tos for entrepreneurs. WPBeginner: Simple to complex tutorials for all users. UploadWP: WooCommerce tips and tricks. Let’s Build WordPress: General WordPress tutorials for enthusiasts. WPTuts: Great guides for Slider Revolution and Visual Composer users. WordPressKing: No-nonsense guides for WordPress aficionados. Katrinah: A good source for WordPress users of all abilities. WinningWP: Tutorials and tips for beginners. 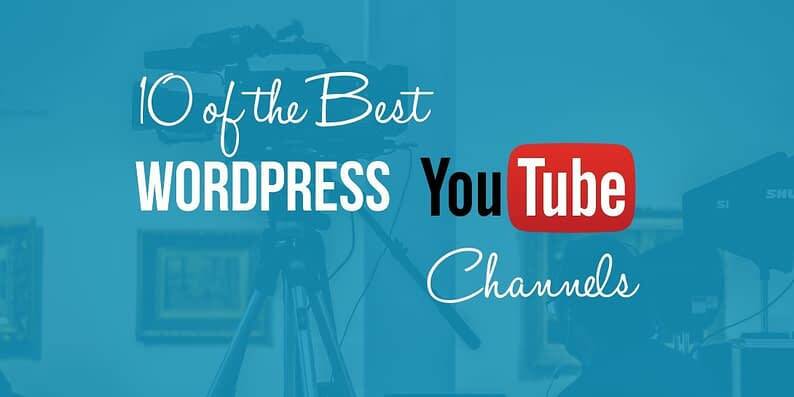 Do you know of any other great WordPress YouTube channels that you’d like to share with us? Let us know in the comments section below!